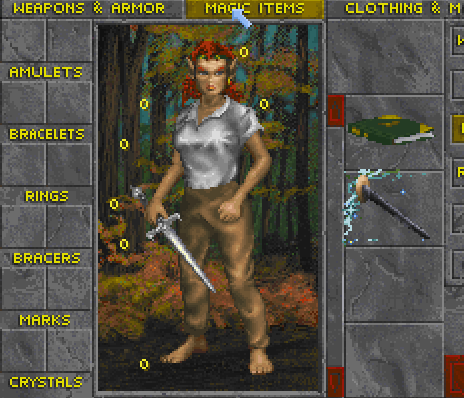 In 213 equipping the Blade with another item would cause the PC to hold both items in the same hand. 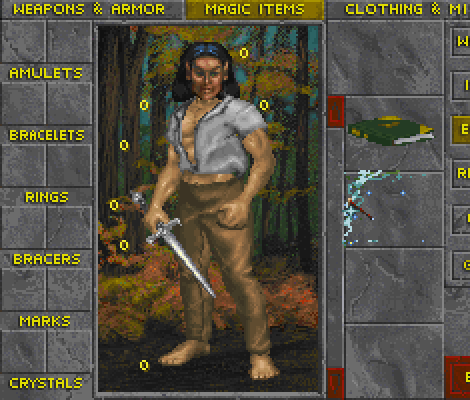 Also, the Blade would be coloured as per the metal tied to the PC's level, ie it would often not look like ebony. 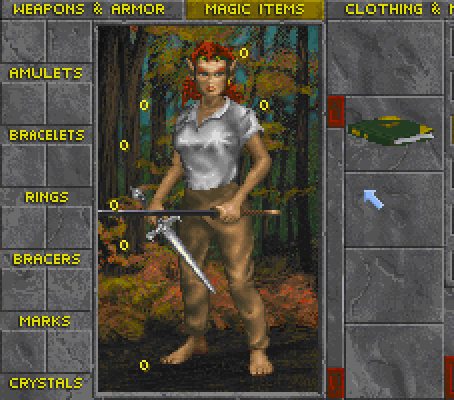 Although AndyFall corrected the equipped hand bug, it made the Blade appear tiny when it was unequipped in the inventory, and the colouring bug remained. This patch fixes all of these problems. -- Note that this patch applies only to the inventory graphics. The equipped graphic (weapon animation) colours are still broken as they are for all weapon artifacts. 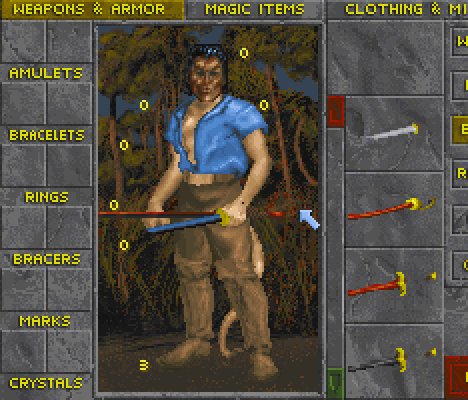 The level of the PC when the artifact is generated determines the colour used for the weapon animations for all artifacts.